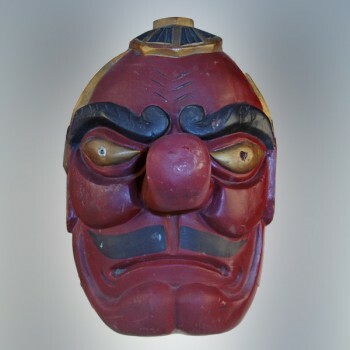 Yamaushi "Tengu", Japanese Buddhist / Shinto goblin. Philippines. 14¼" x 9" x 13"
Description Yamaushi "Tengu", Japanese Buddhist / Shinto goblin, Philippines. 14¼" tall x 9" wide x 13" deep.